JSP, a manufacturer of above-the-neck personal protective equipment (PPE), says: "Just like voters in the forthcoming General Election, you have a choice. As a health and safety decision-maker, you can choose to specify the tried and tested JSP Force8 half mask fitted with PressToCheck P3 Filters - which enables wearers to check their face-fit - or you can choose a mask without this option." 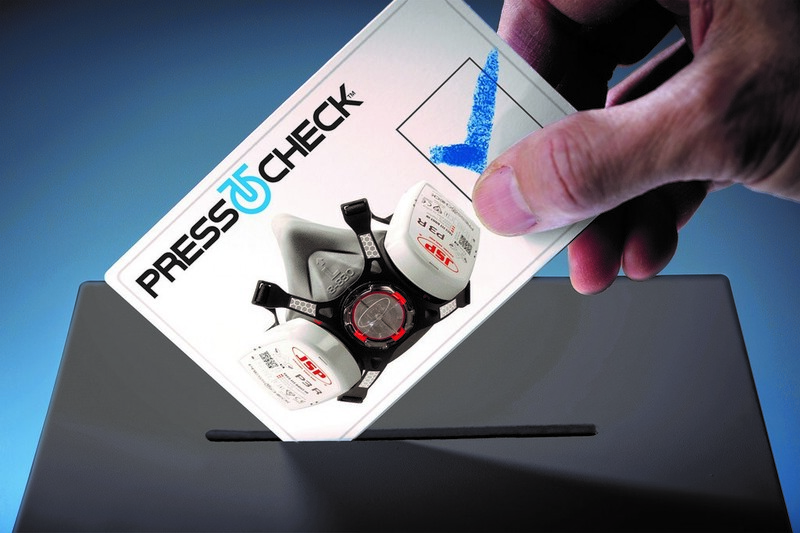 Winner of the 2014 BSIF Product Innovation of the Year Award, PressToCheck is a leading respiratory protection solution with integral face-fit checking. The system (patents pending) enables workers to ensure they are protected against fine construction dust including silica. According to JSP, by choosing a mask without this feature, such as a disposable paper mask, you run the risk of inward leakage around the mask. Inhaling inwardly-leaked hazardous air could endanger wearers’ long term health. JSP’s PressToCheck filters are more than 99.95% efficient, keeping out almost all airborne particulate hazards in the workplace. The system allows the face mask to be correctly fitted and checked at every donning, and throughout the day, to ensure an optimum face-fit is achieved.